C40, a network of the world’s megacities committed to addressing climate change, has launched the Reinventing Cities call for projects, in order to transform underutilized spaces into resilient, low-carbon sites. 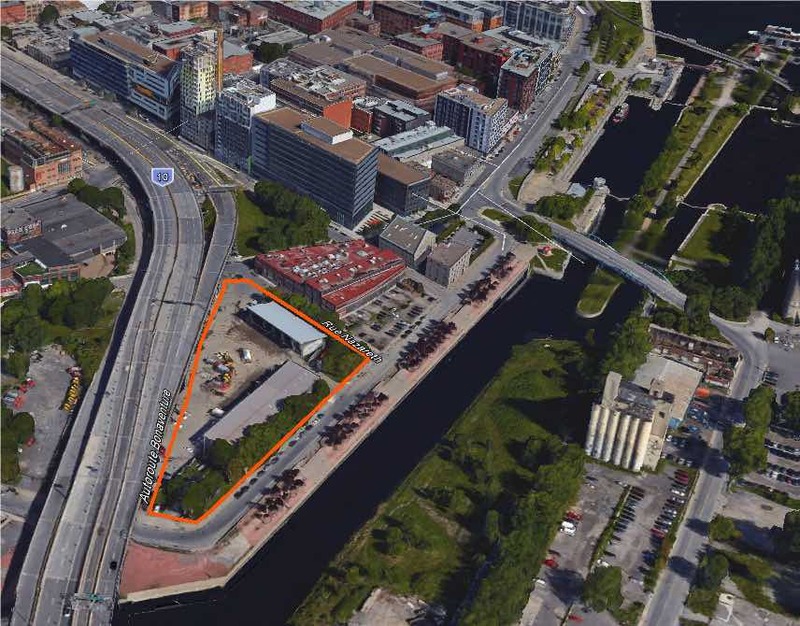 It is with these goals in mind that Montréal proposed the De la commune Service Yard as a site to be redeveloped as part of this call for projects. Professionals are invited to to submit their proposal by May 4, 2018. As part of this call for projects, 19 cities worldwide have identified 49 sites to be redeveloped. Montreal’s De la Commune Service Yard is a 0.9 ha redevelopment site is located in the Cité du Multimédia adjacent to the west end of Vieux‐Montréal. This site enjoys exceptional exposure, being located at the entrance to the city via the Bonaventure highway. This site consists in a 9 910,5 m² lot, currently occupied by a satellite service yard. It benefits from a good accessibility by public transit, with two metro stations located less than 1.2 km away and three bus lines running in the area. The site is linked to Montréal’s bike path network as well. More information about Montreal’s C40 Reinventing Cities project is available here.